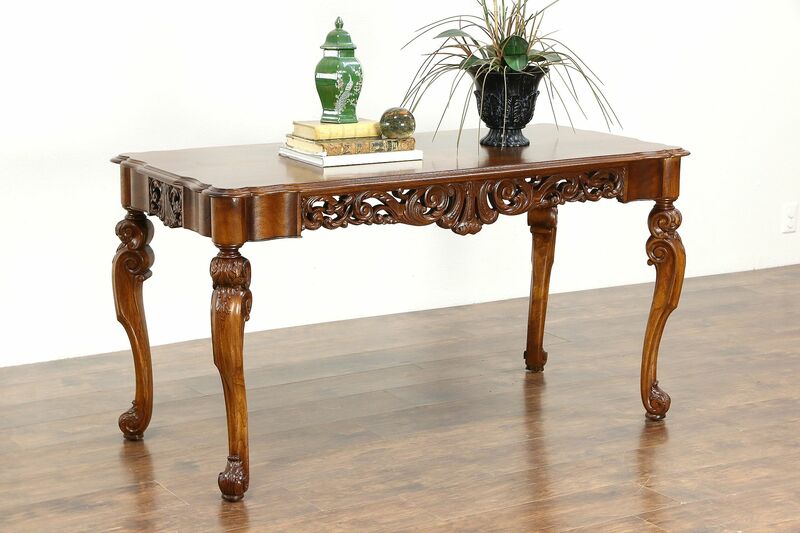 Hand carved in Italy, a luxurious table from the 1930's has many uses - hall, sofa or library table or foyer console. The restored finish is in excellent condition. Finely carved detail is understated on this solid walnut vintage furniture. The quarter matched figured burl top has tiny losses at the joints, see photos. Measurements are 56" long, 26" wide, 29 1/2" tall and legroom is 24 1/2" underneath.